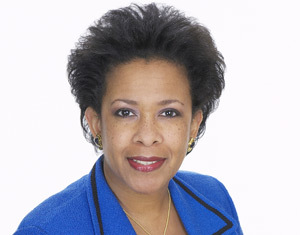 President Obama has nominated Brooklyn U.S. Attorney Loretta Lynch, 55, to replace Eric Holder as attorney general. She would be the first black woman to head up the department. “Loretta Lynch is an extraordinarily talented attorney, a dedicated public servant, and a leader of considerable experience and consummate skill. I am certain that she will be an outstanding Attorney General, and I am delighted to join President Obama in congratulating her on this prestigious appointment. Posted: 11/8/14 at 1:02 PM under News Story.